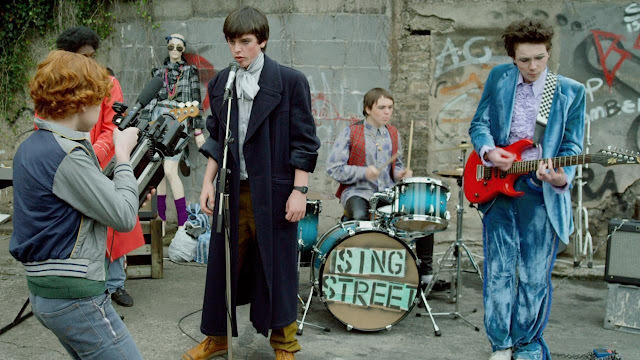 Once filmmaker John Carney returns to his Irish independent film roots as he frames the charming Sing Street as a semi-autobiographical musical story full of 1980s Dublin authenticity. The film has an unmistakable energy and breathlessness that makes the familiar, coming-of-age tale so enjoyable. Ferdia Walsh-Peelo stars as Conor, a meek 15-year-old Dubliner hoping to fit in at his new inner-city school, as he starts a band on a whim to impress the striking Raphina played by Lucy Boyton. He gathers a ragtag bunch of musical misfits and despite their lack of talent or skill, make for a fairly appealing pop band influenced by the likes of Duran Duran, Hall & Oates, and The Cure. The film also cleverly breaks down the birth of music video culture and dissects its early appeal. Carney uses the transformative nature of music to frame his characters, their troubles, and influences as they seek to break free of the depressive surroundings. Peppered throughout are the touches of the quiet Irish cultural revolution including themes of family separation, the waning influence of the Catholic church, economic recession, and leaving home for a better life. Waslh-Peelo and Boyton have a nice romantic chemistry the way only foolish teenagers inspired by music videos and dreams of grandeur can stir up. However, it's Jack Reynor as Conor's older brother and rock obsessive stoner who gives the film a greater sense of wisdom and authenticity to the whole musical affair. Sing Street is a joyous, authentic feeling musical comedy/drama about '80s rock youth and innocence. The Irish characters, periodic setting, and great music make for a winning combination on screen. Carney returns to his wheelhouse of musical influences and tricks to make the film a complete cinematic experience of style and substance together in harmony.